Work for Palo Alto Networks Panorama? Learning about Palo Alto Networks Panorama? "Palo Alto Panorama, una consola de firewalls muy completa e intuititva"
Tengo que decir que lo que más me gusta de Panorama y que le da mil vueltas a Juniper son los logs, son geniales, te permite hacer multitud de búsquedas filtrando de mil maneras distintas. La consola es muy intuitiva y se encuentra todo con facilidad, te permite manejar un gran cantidad de firewalls de manera sencilla. Lo que menos me gusta de Panorama es el acceso al dispositivo en si, cuando entras te saca de panorama y no puedes estar tocando en los dos sitios y es bastante lento. Después en Palo Alto en general en los firewalls pequeños hay una limitación muy grande de zonas y para nosotros nos supone un gran problema ya que trabajamos mucho con eso. Si estás considerando usar Palo alto os lo recomiendo, nosotros estamos muy contentos con ellos y es lo que estamos metiendo actualmente. Recomiendo probarlo. 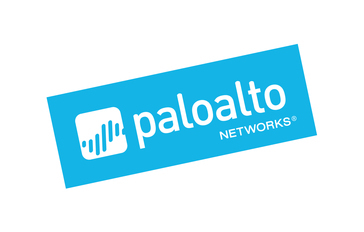 "Great centralized management to access the Paloalto firewall across the organization "
Single pane of glass for all the Palo alto firewalls, Global protect, cloud services and logging service. Upgrade all the firewall in a single commit. "Using Pano for Muti-Site Management "
Easy to use GUI, built in help features. Once you get used to the operational flow of how Palo uses various groups to build/scale upon it becomes very easy to manage multiple sites. Slow DB load times. speed at which hotfixes/SP are released. Easily manage 3 physical sites (3 HA pairs, 6 individual boxes) across the US. Easily able to add virtual deployments or additional physical deployments and have everything in one centralized location. "Panorama - Firewall management at its best"
Panorama allows you to manage all of your Palo Alto firewalls in a single pane of glass. The management functionality is great, log retention is even better!! It's hard to get used to at first but then it's easy to understand. Deploy it. you won't regret it. Firewall management. Now it's all centralized. "Perfect product for centralized management!!" The GUI feature is just awesome. Awesome to manage 100's of firewall through the panorama. Very easy to push the changes to the group of firewalls. Can review changes before committing the changes. Renewal license is expensive , but i can say it is work of the product. Manage multiple firewalls easily at a single place. Avoid problems and save lot of time instead of logging to each and single firewall separately. * We monitor all Palo Alto Networks Panorama reviews to prevent fraudulent reviews and keep review quality high. We do not post reviews by company employees or direct competitors. Validated reviews require the user to submit a screenshot of the product containing their user ID, in order to verify a user is an actual user of the product. Hi there! Are you looking to implement a solution like Palo Alto Networks Panorama?